Pigeon computers have installed and configured Linux system. The following points show the quick start with Pigeon computers. 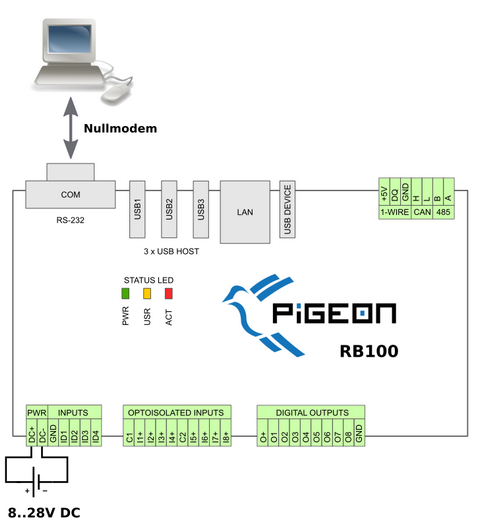 Connect your PC to a Pigeon COM port using the RS-232 null modem (handshaking is not necessary). If your PC has no serial port you can use USB/RS232 converter. In the case of RB300/RB350, POWER button should start blinking, which means that UPS charges the capacitors. If everything is all right you will see the Linux boot messages.